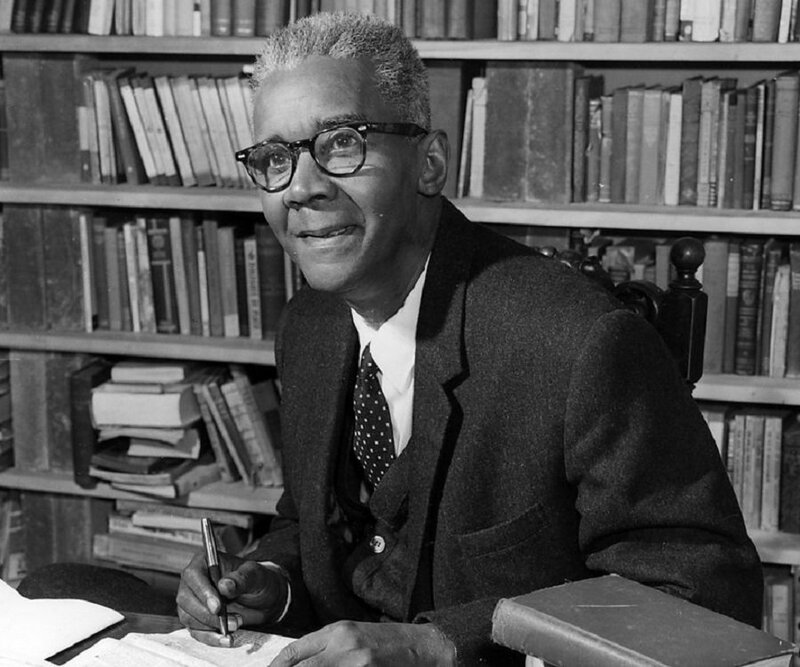 The following article was written for an on-line discussion of CLR James' book Facing Reality. It was been edited for publication by Red and Black Notes, and is republished here. When Martin Glaberman died in Detroit last year, it was in many ways the end of a tradition. Marty often referred to himself as an "unreconstructed Johnsonite" and given that James died some 12 years previously, he could reasonably claim to be the last survivor of the tradition. Despite some impressive publications and a working class orientation and readership that many left groups would envy, the Johnson-Forrest tendency never built a large organization. At its peak the group was little more than one hundred people. The split between James and Dunayevskaya in the mid-50's saw the latter take over half of the organization (about sixty people) to found the still existing News & Letters group. In 1962, the tendency was further reduced when founding member Grace Boggs and some of her supporters split away taking the name correspondence. The remaining members continued until 1970, when at a conference Marty moved dissolution of the group, over James' objections. In his introduction to James' Marxism for Our Times, Marty wrote that organizationally the James tendency was a failure; however, it was a failure that was rich in lessons for a democratic revolutionary Marxism. Is this a reason to read James? In reading Facing Reality the book's strengths and weaknesses still jump out. In her autobiography Living for Change, Grace Boggs wrote that the book was pure James in its "celebration of spontaneous rebellion and its insistence that the mail role of socialist revolutionaries is to recognize and record the rebellions of ordinary working people." A not entirely accurate characterization in my opinion. Boggs confessed to doubts, but signed her name anyway. The other author was even less pleased by the final product. Cornelius Castoriadis (Pierre Chaulieu) of Socialisme ou Barbarie wrote the section "The Marxist Organization Today," which was subsequently edited without his knowledge or permission. In "For a New Orientation," written in October 1962, Castoriadis wrote of James' claim that socialism already exists in the factory, "if the socialist society already existed, people would probably have noticed." Facing Reality is an often maddening book containing a marvellous critique of the pretentiousness of the numerous little vanguards, and at other times a telling naivety about opposition forces in society. James' praise of the shop stewards' movement in Britain must bring a smile to anyone who has studied the ‘rank and file' oppositions so beloved by organizations like Labor Notes. Just a few short years later James became virtually a house leftist for Eric Williams' People's National Movement, before his conscience reasserted itself and led to house arrest. These latter attitudes represent a part of the Johnsonites' incomplete break with Leninism. Indeed, James referred to himself as a Leninist till the end of his days. Loren Goldner has pointed to a number of key strands in the book and draws certain conclusions from them. 4. The immediacy of revolution and the impediments to it. I'd like here to concentrate on points one and three, but approach them from a slightly different angle. Namely, one, What happened to the working class? And two, the vanguard party. Facing Reality contains much of the familiar Johnsonite lyricism about the working class. Not that this is surprising. Their 1946 document, The American Worker, set the stage for postwar "councilism." An extremely worthwhile document, and which taken with other material produced by Johnson-Forest expresses their point of view as everywhere the working class chomping at the bit in the struggle for socialism, held back only by trade unions and other guardians of "workers' interests." This view is not so outlandish at it now sounds. Nor was it unique to the Johnsonites. Despite the cold war atmosphere of the 1950's and apparent quintessence of the working class, it was a time of massive struggle. In the United States the auto-wildcats that so humiliated Walter Reuther, along with the emerging civil rights movement heralded the beginnings over a decade of building working class struggle. The Hungarian Revolution of 1956 seemed to prove Johnson- Forest's belief that the working class could act without the vanguard. If the working class in a Stalinist state could, without the ‘wisdom' of a party overthrow the existing social structures, why not in the more materially advanced USA? The view of permanent struggles was by no means unique to the Johnsonites. The opening lines of Trotsky's Transitional Program also claim that all the conditions are ripe for revolution and all we need are good leaders to replace the bad. The immediacy of Facing Reality seems mild when compared to the apocalyptic writings of Trotsky prior to the Second World War. Another case in point are some of the left communist organizations such as the International Communist Current, who now claim capitalism is in the process of decomposition. So what happened? How did a self-confident working class throw away its cards? Did the capitalists take into account the arguments of Facing Reality? The answer to that question could fill at least several books. On the surface at least it would seem as if the working class has suffered catastrophic defeats: A number of humiliating defeats such as PATCO, Staley, Detroit, Liverpool. Hormel, to name only the best known; the destruction of the unions and the rolling back of the welfare state; the widespread de- industrialization of major capitalist centres such as Detroit The list is seemingly endless. While not wanting to underplay the seriousness of some of those changes and the toll it has taken on the working class, I also want to suggest that the picture is not simply as bad as the average leftist makes out. I'm not suggesting in the form of the Polly-Anna leftist that every strike is the revolution, but to look at class struggle in a different way. For those who measure class struggle by votes to social democracy or by the sales of their own newspapers, the results of the last two decades must be bleak indeed. But, that's not really an index of class struggle. For an alternate method I would refer comrades to an article by Curtis Price in the most recent issue of Collective Action Notes entitled "Fragile Prosperity, Fragile Peace" which takes into account the so-called hidden transcript. I'm almost loathe to enter into a discussion on the question of the vanguard party, since it seems to be an article of faith for many people. While being more critical than James and Castoriadis of the Hungarian Revolution I'd lean much more toward their interpretation. I don't think the Hungarian Revolution would have occurred had there been a vanguard any significance (and what does it say about Lenin's theory that the revolution did occur without one?). Furthermore to reduce the defeat of the revolution to the absence of the vanguard party, as do so many Trotskyists, and not even to mention the military power of the Russian army, is, well, missing the point. It is certainly true that the Hungarian workers made mistakes and were even naive in retrospect, but if you look at the Russian workers who made their revolution, you will see mistakes, you will see religious fanaticism and anti-Semitism. All sorts of backward ideas. Marx noted that you make a revolution and that's how you change people. If you wait for it to happen the other way, you'll be waiting a long time. I have a much lower opinion of Lenin than even James and company; rather than being a Marxist, I see Lenin as a Russian populist adopting a mixture of populism and Lassalle's ideas, via Kautsky. It's instrumental that until his break with Kautsky Lenin never sought to transfer his ideas to Germany, and thereafter regarded Kautsky as a renegade (implying his earlier work was sound). For those who point to Lenin's revision of his philosophical views and especially his State and Revolution, there's also the Lenin of one-man management, of Taylorism and the glory of a "productivist Marxism." In State & Revolution Lenin also admits his continued fondness for a model of socialism based on the German postal system. What type of new organizations do we propose? We do not propose any. The great organizations of the masses of the people and of workers in the past were not worked out by any theoretic elite or vanguard. They arose from the experience of millions of people and their need to overcome the intolerable pressure which society had imposed upon them for generations. First Published in Red and Black Notes #15, summer 2002, this article has been archived on libcom.org from the Red and Black Notes website.